In Bookends, one of the Easy Songs for Beginners lessons we had this past summer, we explored the fingerstyle guitar technique of playing two notes at the same time. Today we’re going to start with that concept and then kind of warp it around a bit. The song is Blackbird by Paul McCartney (but being a Beatle at the time, it is officially a “Lennon/McCartney” piece). Not only is this a good “showing-off” song for the solo guitarist, it is also a great exercise for stretching one’s fingers. No lie! Let me add something here while I’m thinking about it. Those of you who have suffered through (or continue to suffer through) my Easy Songs For Beginners will have heard this before and, unfortunately, it bears repeating. Not one of my lessons is meant to be an exact transcription of the original recording. As the above disclaimer clearly states, this is intended as a teaching tool. You may not know it, but I don’t simply choose a song for the sake of you learning a song. Think of them as fables, if you will. It is my intentions that you get what I call a “lesson” out of a particular song. Hopefully it will be a lesson that you will then be able to take with you and put to use in other songs that you play. I am not in the least concerned about having the same arrangements, chords, riffs and other things that you might hear on the CD or record or tape. One of the reasons that I bring this up is that it’s been ages since I’ve heard the original recording of this song. I am truly uncertain if the intro is correct or if the interlude between the verses is spot on. Also, every time I have heard Blackbird over the course of the last five or so years, it has been either at a jam or in a coffee house style of performance. There are a lot of ways of playing and arranging this song. This is simply my arrangement. Enough with the silly things, let’s move on to the important stuff. If you haven’t read my piece on Bookends, I highly advice that you do so, even if you are not familiar with that particular song. Blackbird, like Bookends, involves the use of playing two strings at once as well as a healthy dose of time signature changes. Good to be up on those things, you know. I teach Blackbird to my students with three particular goals in mind: (1) to understand the concept of what is called a pedal point; (2) to give them confidence in moving around the fretboard and (3) to give them a fun way to work on stretching out their fingers. Now, there are lots of other lessons to be gained from this particular song, so please don’t feel that you can’t do more with it. Like any true lesson, the effort and understanding that you put into it will ultimately dictate what you learn. Okay, first things first. Having looked at the lesson, you might notice two items of interest. First off, I didn’t put in any chords. Secondly, every other note is the open G string. Not surprisingly, these two things are intertwined. The repeated use of the G note is what is known in classical music as a pedal point. We’ve gone over this before in a few of my guitar columns. It serves as a drone or anchor, if you will, a constant around which the other two notes dance, forming, in dramatic fashion, new chords with each new position. If you want to give yourself a good work out in chord theory, chart out each of the “chords” (the two notes played simultaneously along with the G). Originally appearing on The Beatles White Album, “Blackbird” was recorded by Paul McCartney in London on 11 June 1968. McCartney played a Martin D 28 acoustic guitar, supplied the vocals and foot tapping. The track also includes overdubs of a blackbird singing. 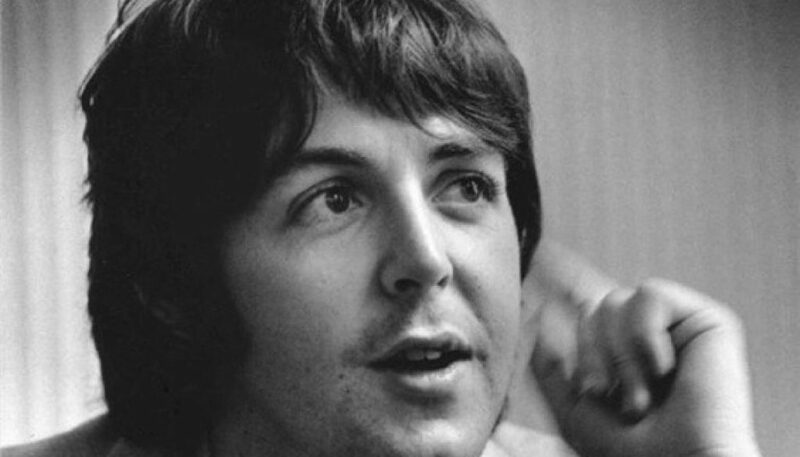 In interviews and concerts McCartney has said the song was written in response to the Civil Rights Movement. Since this song is in the key of G (how did I know that? There’s only one sharp (F#) in the key signature! Read Your Very Own Rosetta Stone if you’re interested in learning more on how to read music.) and since the pedal point is the G note, we call this a tonic pedal. The two most common tones to use for a pedal point are the root (tonic) of your key and the fifth (dominant). Take some time to get used to playing in this pattern. Often a beginning or intermediate guitarist will rush right into things and then get frustrated because it doesn’t sound right. You can usually avoid this by allow yourself (and your fingers!) to develop a sense of what you want to do. Even accomplished musicians feel better about a song when they have a chance to get the lay of the land, if you will. Technically, these are thirds. The G in the bass has the B (its third) in the harmony, albeit it an octave higher than the normal interval of the third. Some people call them “tenths” and this is yet another one of those music theory arguments that tend to freak people out so we’re going to let it slide (no pun intended) for now. The guitar, in standard tuning, is particularly partial to the intervals of thirds and knowing how and when to use them can add a whole new dimension to your playing. Back to Blackbird: when playing the first measure, try to keep your fingers on the strings once you get to the third set of notes (the index finger on the second fret of the A string and the pinky on the third fret of the B string). You really don’t want to remove your fingers from these strings until pretty close to the end of the verse. Slide them from this position to the tenth and twelfth frets of their respective strings for the next measure. Then slide them back down the neck to the third and fifth frets at the start of the third measure. Here’s where the fun begins. The third measure is the hardest part of the song and if you can get through it, I promise you the rest of it will be a breeze. Slide your index finger from the third fret to the fourth fret of the A string. At the same time, slide your pinky from the fifth fret to the eighth fret of the B string. This is quite a stretch. Many people have written me asking if I know of any “exercises” which aid in stretching out the fingers – this is certainly one way to do so. And I have to tell you that when I first tried to learn this (on a twelve string!) I could not do it. It took weeks of going through the motions over and over again before I was happy with it. But it can be done. If you try and try and decide you need an easier way, though, don’t panic! I’ve got one, and we’ll get to it towards the end of the lesson. But in the meantime, here’s a couple of tips: make certain that you are not gripping the neck with your thumb. You should almost always never do that anyway. The neck of the guitar should simply be resting along the inside tip of your thumb, allowing the thumb to slide along almost parallel to the index finger as it moves up and down along the frets. If you’d like to do an amazing experiment just to prove you don’t need your thumb, try this: barre any fret of the guitar with your index finger. Do it without laying your thumb on the neck! Most of my students find that they can indeed barre chords when they’ve taken the thumb out of the equation. And the people I know who can already barre chords usually find that they get a better tone along all six strings. Also, it helps if you are sitting and holding the guitar in more of a “classical” position (if you’re right handed, the guitar is on your left knee). Many people use their knees as “wrist rests” and there is no way you can ever get the mobility you need if your arm is not free. A good indication that you’re okay is that your fretting hand is at about the same height as your shoulder. After you’ve made this stretch, you “collapse” the fingers – sliding them toward each other so that your index finger is now on the fifth fret and the pinkie on the seventh. Then one more big stretch to the sixth and tenth frets before coming to a bit of a breather with your fingers on the seventh and eighth frets for the duration of the next measure. But since you’re higher up on the neck this stretch should seem a bit easier than the first one! Well, almost the same. It starts out just like the end of the verse and then goes into the beginning two measures. At the very end of the bridge, I like to hit the D note (tenth fret on the sixth (low E) string with my middle finger and then slide down to the G note on the third fret which starts the next part of the song. I often use this as part of the introduction as well. One of the reasons I don’t like this is that you get different tones when you switch to using the first string and back again. Yes, they are the same notes but they still have different tonal qualities. It’s almost like there are two different instruments playing. But that’s just me. Either way works perfectly fine. As always, take your time with this. It’s not all that much different from your other pattern, you are simply adding the open D string (played with your thumb) to the mix and syncopating the notes a little. Again, once you get your fingers used to the pattern, you’ll be surprised how easy it is to do. I hope that you’ve enjoyed working on this song. Blackbird is a great piece to use to sharpen your fretboard and fingerpicking skills. Plus, you’ll dazzle your friends with your abilities! And that’s always a good thing.